East Midlands is one of the country’s largest and most population regions. Taxi advertising in this area can see your brand reach motorists and pedestrians in several major counties. At London Taxi Advertising we work with brands large and small, bringing stylish and head-turning cab campaigns to locations across the country. 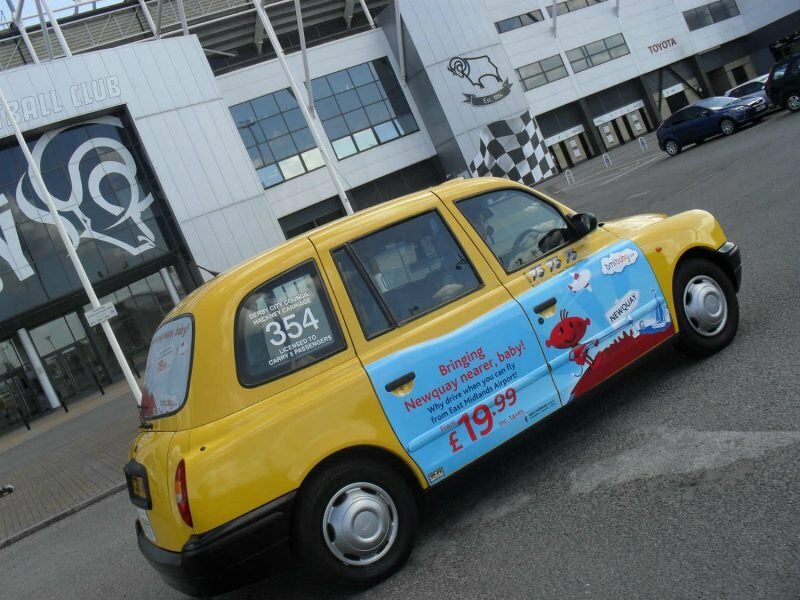 Get in touch to find out more about East Midlands black cab advertising! Why advertise in East Midlands? The region contains four major cities – Derby, Leicester, Nottingham and Lincoln – as well as other densely populated settlements such as Boston, Loughborough and Northampton. Nottingham and Loughborough in particular have extremely large student populations thanks to their prestigious universities. This makes the East Midlands an ideal location if you’re looking to reach a younger demographic. A major selling point of the region is the popular East Midlands Airport, located in Leicestershire. With millions of passengers flying in and out of the airport each year, your taxi advertisements can be there to catch their eye as they arrive at the airport and can help to fuel future purchases. The East Midlands boasts fantastic transport links, with its proximity to London turning the region into a powerful economic hub. It is served by the M1 motorway and the A1, two of the UK’s busiest and most important roads.